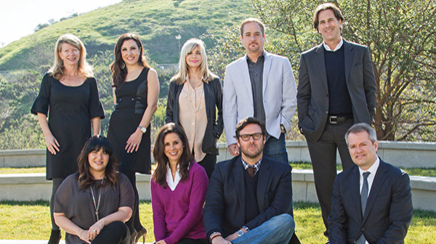 While celebrity work remains an entertainment PR staple, content and branding also play key roles, said industry leaders who joined Gideon Fidelzeid in Los Angeles for this PMK-BNC hosted roundtable. While celebrity work remains an entertainment PR staple, content and branding also play key roles, as highlighted by industry leaders who joined Gideon Fidelzeid in Los Angeles for this PMK-BNC hosted roundtable. Gideon Fidelzeid (PRWeek): Describe the unique brand-celebrity relationship, both in terms of establishing their own brands and in working with brands. Michael Nyman (PMK-BNC): Most celebrities or celebrity talents are not brands. They have the potential to create a brand that emanates from their personality. They're popular, they could be iconic, but that doesn't necessarily make them brands. We work with our talent on developing and defining a brand, which may or may not share their name. Most often, it's a function of understanding their essence and personality and creating a brand from that. Chris Day (UTA [United Talent Agency]): If you're a working actor, you want to be very careful about what the word “brand” means because your stock in trade is disappearing into roles, inheriting characters, and creating art. There's room for the brand conversation when it comes to celebrities, but a better word for a lot of artists is “reputations.” When you're talking about actors, you have to make that delineation. Silvia Davi (BMI): A lot of what we do is engage, recognize, and identify songwriters very early in their careers. We then witness their evolution over time. Alicia Keys was recently named BlackBerry's global creative director. Will.i.am is in a similar role at Intel. Both are great examples of putting forth a brand identity of being innovative, jumping into this whole corporate aspect, and continuing to evolve that brand, as well as their own. Armando Azarloza (The Axis Agency): Many artists have developed their personal brands. Pitbull has been able to establish a personal brand that speaks to that bicultural Latino market, which is a whole other market than the Spanish-language market. He has become an aspirational figure in the market because he's focused on business and on empowerment through his music. He has been able to cross over very effectively because of the force of his personal brand. His persona, not a product, helps develop that brand. Nyman (PMK-BNC): Whether you are a music star, sports star, reality star, you are who you are 24/7. If you're an actor gliding in and out of roles, though, you need to check that personality. You don't want that to override the audience emotion when they're watching your content. There's a reason music, sports, and even reality stars – and you can add authors, experts, and show hosts, too – see success with their brands or in associating with brands. They are always living it. Theano Apostolou (Starz): Celebrities can now communicate outwardly beyond traditional mediums or going through us. Many are active on Twitter and have massive followings. This is totally changing our business, as well as the way they define themselves. It's fantastic, but it's also unfiltered. Day (UTA): The media used to be the mechanism by which the message would be conveyed. You had TV, print, radio, digital media – those were the verticals. Now it's about owned, earned, and paid media. Celebrities have their own voice and are connected directly to their audience. Moreover, this direct connection has influenced their reputations in a lot of ways, positively and negatively. Chris Petrikin (20th Century Fox Film): I've never heard studio heads say they want to hire someone because they're a brand. Most actors understand that and realize they must soak into the character. A disconnect can come when you start to promote the movie on the back end and, all of a sudden, your stars are their own brands again. Maybe they just had a scandal. That's where we end up having a challenge. Patrice Radden (Red Bull Media House): We consider our athletes to be our celebrities. We don't ask the athletes we support to do or say anything for us specifically. It's really all in their own voice. For us, it's about authenticity. Whatever is coming out through their own social media channels or just when they're talking about content they might be involved with, they are speaking about it because they want to, not because we're asking them to. Evan Greene, CMO of The Recording Academy/The Grammy Awards, spoke to Gideon Fidelzeid about defining his organization's brand, facilitating conversations throughout the year, and orchestrating collaboration among both internal and external colleagues. Gideon Fidelzeid (PRWeek): The Grammys honor so many different styles of music. How do you tackle that unique marketing challenge? Evan Greene (The Recording Academy/The Grammy Awards): We are ultimately The Recording Academy, the umbrella organization responsible for the Grammy Awards broadcast and brand. We are a 365-day-a-year organization. We give back to the music industry all year long. We work with artists at all levels, kids in schools, musicians all over the country. The Recording Academy represents all genres of music. We have 78 categories in which we give out awards. With all that, we realized we couldn't be all things to all people. We have to look at the state of the nominations in early December and put on the most musically dynamic and diverse program we possibly can given the artists who are relevant at that time. And it's not just putting those amazing artists on stage, but figuring out how we talk about them in a variety of different ways and in multiple conversations. Fidelzeid (PRWeek): You have been in your current position for 10 years. How have your marketing tactics changed during the decade? Greene (The Recording Academy): It started with a strategic shift in thinking. We redefined what our brand stood for and how we acted and operated from a marketing standpoint. It all comes down to the idea of being a 365-day-a-year brand. That means having a conversation with our social ecosystem of music fans for the 364 days of the year the Grammys aren't held. We work with kids in schools, advocate on Capitol Hill for artists' rights, and do all these trade-group activities year-round. We also used to abdicate responsibility for marketing the Grammy Awards program to CBS because they know how to market a TV show. As soon as the lights went down on the show that year, we'd go back to being a trade organization. We have a much bigger role in marketing the show now. We make sure to have a respectful two-way dialogue with friends, fans, and followers all throughout the year, so when the Grammys come around, it's not such a hard start. We make sure the conversation is ongoing. We look to form the right kinds of partnerships with media entities, brands, and the like. We have to keep our brand top of mind throughout the year – not just during Grammy season. Fidelzeid (PRWeek): People focus on the “Grammy” part of your title. Please discuss some of your non-Grammy-related activity. Greene (The Recording Academy): When I first took this role, we weren't really sure what the Grammy brand meant or represented versus The Recording Academy. Should we speak from the voice of the institution or the brand? We came to realize that people cared more about the brand, so we worked to make the Grammy brand more relevant, resonant, and valuable throughout the year across all genres and demographics. In doing so, we would – by default – make The Recording Academy more relevant. We also realized that if we talk to people as the Grammys, it's easier for us to integrate messages about The Recording Academy. If you start with the Academy, it's something people aren't necessarily sensitized to. That said, I do work for The Recording Academy. So we've created brand standards not just for the Grammy brand, but also for the Academy from a communications standpoint. We have 12 teams across the US, various chapters in major music markets. We are on the ground in as many places as possible so we can take part in as many conversations as we can. Ultimately, we lead with a Grammy-branded message. I work for The Recording Academy, but am the brand steward for the Grammys. Fidelzeid (PRWeek): How would you define your organization's brand? Greene (The Recording Academy): The Recording Academy has four pillars that guide it: awards and nominations, membership, charity and philanthropy, and advocacy. Ultimately, our unique value proposition and guiding principle from a brand standpoint is celebrating music. Everything we execute has to come back to that. Greene (The Recording Academy): Social media is no longer a box to check. It's a core part of our DNA. Everything we do must start from the standpoint of being shareable. It has to hit the two major elements people are looking for - discovery and being part of a community. If we can enable and empower discovery, that leads to communities being formed. In past campaigns, we tended to focus on the artists and the celebrity. This year we wanted to focus on the journey, on what it takes to become an artist. There's a reason artists are so driven and emerging musicians sleep on floors and in vans. There's grittiness to this campaign. We felt it was very real and visceral. We fell in love with “The world is listening” right away. It's powerful and provocative. In addition, we put a hashtag in front of it, which had never been done before. It sparked conversation. It's the first major campaign we knew of that used a hashtag as part of the tagline. We simply felt this was the kind of campaign that would connect with people at all levels. It wasn't just about artists who had already arrived. It was about the journey, how they got there, and the passion that drove them. Fidelzeid (PRWeek): The hashtag seems indicative of the prominence of social media in your marketing initiatives. Greene (The Recording Academy): We work really hard at social. I feel very strongly about not outsourcing our social strategy because nobody understands the brand like we do. Our social strategy is pretty simple - it's all about the conversation, period. How do we empower a deeper, more relevant dialogue? How do we add to that conversation? We have a dynamic Facebook presence. We're on Google+, Instagram, Tumblr, Twitter, and Pinterest. But how do we create different programs that strike people differently, but get them all talking? Consumers exist in different circles. Arousing conversation and getting those circles to connect with each other is where engagement — the magic — happens. We try to empower as many different music conversations as possible with a consistent theme, voice, and message. And it's not all about the Grammys. It's really about finding where the music is happening. It's discovering where the music is important to different audiences. That's where we need to be. That's why there are playlists on Spotify. That's why we're on iHeartRadio. That's why we're on iTunes and have a YouTube channel. It all comes back to us becoming a part of the general music conversation. Fidelzeid (PRWeek): The Grammys and CBS have had a long relationship. How do the two organizations collaborate from a marketing perspective? Greene (The Recording Academy): When we started our marketing department 10 years ago, we would abdicate responsibility for marketing the Grammys to CBS. Since then, we've become very strategic and have built a lot of relationships throughout CBS to the point where it is now a very meaningful collaboration. In fact, we now control the Grammy marketing message. It's no longer, "You guys are a network, you know how to market a TV show, please do it." It's more of a true partnership now. From a digital and social standpoint, CBS has become a lot more strategic and integrated, so we work a lot more closely with them. We certainly have differences of opinion from time to time. We focus on our brand and they focus on the TV show, but we always find ways to meaningfully collaborate. Fidelzeid (PRWeek): How do you define your role as CMO? Greene (The Recording Academy): I see my job as being a connector. I can set strategy, but there are a lot of very talented and smart people who need to execute those strategies. I try to empower my team and our partners at CBS by creating a consistent asset toolbox. One of our major challenges is that we don't represent a product. The Grammys represent an idea, a concept – excellence in music. It can be tough to communicate that because everyone has a notion of what that really means. My biggest job is to make sure everyone knows the direction our ship is heading, what our tools are, and what the communications tone needs to be. For example, we created a social media “bible” that we send out to all media so they know our Twitter handle, where to find us on Facebook, our hashtags and websites. We want to make sure that when one outlet is talking about us, they give us a consistent message that is in line with how we talk about ourselves. That amplifies conversation and, in turn, drives more integration. In short, my job is about creating a rallying cry and providing people the tools to be able to speak consistently and with a unified voice. Fidelzeid (PRWeek): Data is a huge word in marketing these days. What were some relevant analysis points from this year's event? Greene (The Recording Academy): From a ratings standpoint, just under 30 million people watched the show, which is a massive number, but the big story is the social activity. The day after the awards, we began cross-referencing sites such as Trender, Bluefin, and PeopleBrowsr. As it relates to the Grammys and Grammy-related hashtags, indications are that social media conversation amplified by around a 93% increase over last year. That activity is really indicative of the kind of engagement people have with our brand. It's also a really interesting commentary about the alignment and synergy between social and TV. It's about discovery and community. When the discovery is strong enough, it empowers and enables sharing and community. Fidelzeid (PRWeek): How do you market outside of the US? Greene (The Recording Academy): The Grammy telecast is seen by close to 1 billion people in 170 countries around the world. We are based in the US and while international is clearly very important to us, I have had a lot of conversations with our CEO and board to make sure we have our domestic house in order first. We're finally there, I believe, so we have now begun to focus outward and do some programs in international territories. We are now producing live Grammy concert events in countries outside the US. We are expanding our promotional and marketing footprint outside the US on a territory-by-territory basis. We took the position a lot of movie studios take, which is if you have a big domestic box-office number or rating in the US, that will translate, based on a certain formula, overseas. That has served us well to this point, but now is the time to scale those efforts. I will travel internationally a lot more this year and work with partners on a global level. And we have the same challenge internationally that we encountered when I began here 10 years ago. Everybody knows the Grammys, but nobody knows what it really stands for. In the next 12 to 18 months, efforts will intensify as I pursue the goal of starting to change that. Michelle Slavich (YouTube): YouTube is a place where people can have their true voice, share their own creative vision, and not have a lot of structure around it. Our celebrities are people such as Freddie Wong, who has over 4.5 million people subscribing to his content every day because he is authentic to his brand, which is blowing things up and [Internet Web series] Video Game High School. It's interesting to see a shift in how people are reaching their audiences. Petrikin (20th Century Fox): The ubiquity hurts actors a bit in this regard. Mystery made actors in the past more of a brand than they are now because, today, you know too much about them. They're also communicating so much, which presents a challenge from a marketing point of view in selling a movie. Apostolou (Starz): From the TV perspective, social media chatter really benefits us in terms of viewership because the actor could be tweeting directly with the audience while the show is on. That water cooler buzz element isn't lost. Kerry Washington, for instance, has an amazing following on Twitter and then you'll see her tweet during Scandal. It just takes it to a whole new level. Davi (BMI): It's also reached a completely different level in the music industry. YouTube is making certain people's careers. Psy and Gangnam Style would not have become sensations had it not been for YouTube and social media. That ability to connect directly with the fan base, but also to cross borders and cross their brand identities into – in the case of Pitbull – the Latin American community, in addition to the Spanish-speaking community, is really significant. Fidelzeid (PRWeek): What has been the biggest contribution of YouTube – and similar platforms – to the entertainment sector? Slavich (YouTube): YouTube gives people a platform for their creative vision – and it reaches 800 million people globally each month on all kinds of screens. Whether you're in movies, TV, music, or someone at home, there's a low cost to entry to be on YouTube and have a channel. And unlike traditional platforms, you can pick and choose the niche you want to specialize in. We have channels for kiteboarding, yoga, and anime. The world is your oyster on YouTube. We've helped the entertainment sector by giving those people a direct voice to their fans. And the way certain stars use it is fascinating. Jimmy Kimmel will throw out a user-generated content challenge to his audience. He did one around Halloween last year where he said, “Go out there and film your kids as you tell them that you ate all their Halloween candy.” People filmed all these funny videos and put them on YouTube. Kimmel then talked about that on his show. So he's really keeping that social engagement conversation going before, during, and after a show. Day (UTA): In 2006, we launched UTA Online, a division focused specifically on finding new exciting voices and content creators on the Web. At that time, YouTube was clearly emerging as a platform and it actually caused us to do something very unusual for a talent agency – throw open the doors to content creators. The discovery factor was exciting. These content creators were maxing out their parents' credit cards making independent films, schlepping those around the country, and praying to get distribution. Now they could go right to the judge and jury with their created content. It was revolutionary and it changed the discovery process for a lot for agencies. Now you have established artists looking at YouTube as a place to build their future. Brian Robbins, for example, has had an incredible career in film and television as a producer and a director. However, an experience with his teenage kids on vacation one day – where they never turned on the TV, but watched a ton of stuff on YouTube – led him to create AwesomenessTV, which is one of the premium channels at YouTube. Here's a person at the top of the heap in Hollywood looking at YouTube as a place to create content. Nyman (PMK-BNC): YouTube has also been a leader in moving our society to video-based text and learning versus just text-based. People used to go to Yahoo or Google and read and learn there. Today, and my teenage kids epitomize this, if you need to study something, you think video-based first, so you go to YouTube. In the middle of all this now is this notion of discovery, sharing, testing – all these steps in the cycle of creating something to distribute. These all have been happening before, but because of YouTube, the curtain has been removed. Eileen Koch (Eileen Koch and Company): Not everybody is the “theatrical” celebrity. They could be chefs or hairdressers. YouTube has opened the door for the “average person” looking to gain publicity and build their business. YouTube expedites that process, as opposed to years ago, when you had to struggle to get editors' attention. Davi (BMI): If you're in the entertainment industry, YouTube is part of almost every video strategy being deployed. Corporate America uses YouTube in a very clever way for tutorials. I've developed such offerings for my organization that really work in b-to-b programs. Apostolou (Starz): We recently premiered the final season of Spartacus. Fans drive the show, so we eschewed a traditional red-carpet premiere and instead did 10 simultaneous screenings. We used Machinima, a YouTube channel, as our partner to create unique content leading into the screening. For our red carpet, which was streamed live on Machinima and into theaters, it was more important to have bloggers than traditional TV entertainment magazines. Going through YouTube and Machinima helped us see the impact instantaneously. Slavich (YouTube): YouTube is also fitting into a lot of distribution strategies. Syfy, for example, worked with Machinima on a Battlestar Galactica property called Blood & Chrome. They allowed it to run on the Machinima prime channel first in 10 individual pieces. Then it ran on Syfy. Now it's coming out on Universal Home Entertainment. It was already baked into their distribution strategy that all of those pieces could live together harmoniously and help build the audience while doing so. Apostolou (Starz): We cannot be afraid that this is cannibalizing traditional entertainment. We're coming around to see how much YouTube can actually help our traditional business. Azarloza (Axis): Aside from giving content producers the canvas to draw on, YouTube also gives brands the opportunity to really strategize about the kind of content they will use to promote that brand, the company, or a product. In the Spanish market, for example, there's MiTu, which is affiliated with YouTube. You have hundreds of Spanish-language content producers for which we can shape their content in a very culturally authentic way. It speaks to that geo-target segment of the Hispanic market. Radden (Red Bull): Content is king, but so is the audience. The content can be good, but the audience needs to like it. Content must speak to them and that is another strength of YouTube. You get that real-time audience feedback that enables you to make changes. Original programming is a big part of what we do, and the instant feedback we get from YouTube is something we don't get from our linear TV programs. For example, viewer comments may help us shape a series storyline on YouTube. As a global company, we also need to think beyond US borders about what will resonate. About 20% of our traffic is from the US, the remaining 80% is split out between other countries. In fact, it's really surprising when we see the traffic statistics from a particular piece of content. A breakdancing webclip from one of our events called Red Bull BC One was huge in France, for example. That real-time feedback is important on this level, as well. Fidelzeid (PRWeek): What are some key elements to consider in the content-creation process, particularly from the entertainment industry's perspective? Petrikin (20th Century Fox): On the movie side, we're still figuring it out, but we did have a successful experience with our 2012 movie Prometheus. This was a stand-alone movie that we never said was related to the Alien series. We really wanted to make that differentiation. The first piece of content we presented was originally shown at The TED (Technology, Entertainment, and Design) Conference. It was something screenplay writer Damon Lindelof did with director Ridley Scott. It was, literally, the character many, many years in the future talking at The TED Conference. It blew out all those barriers of what you show and what you don't. It was really effective. Obviously, there was a self-contained audience there, but it grew once we posted it on YouTube and elsewhere. Day (UTA): It really is hit or miss. It is incredibly hard to create great, compelling content. I've always admired Red Bull. I know of no other company that creates so much content that is such a part of the brand. It drives the brand and provides an incredible experience for consumers. Radden (Red Bull): A lot of people don't realize we've been creating content for a long time. Red Bull has been around for 26 years. Since day one, we've had cameras on our sports and culture events or athlete projects. We've always been storytellers, which is key to creating authentic and compelling content. The advent of digital media allows a story to be retold by all those who engage with our content. For Red Bull, it all goes back to authenticity. We've tried comedy before, for example. We announced our partnership with Blake Griffin during the 2011 NBA lockout. The premise of a video we released on YouTube was that he was going to become a professional ping-pong player since he could not play basketball. Blake is very funny and he was very involved in the concept from the start. At his recommendation, we worked with some folks from [comedy video website] Funny or Die. Luckily, it turned out really well. Comedy is not in our DNA, so in trying something out of our comfort zone we had to rely on the experts. But again, the secret is being authentic and knowing your audience and what it wants, no matter the platform. Slavich (YouTube): Those who collaborate with others really see their numbers grow to the right audience on YouTube. You must be willing to talk to your peers, work together, and cross-promote. Fidelzeid (PRWeek): Much like other sectors, communicators in the entertainment arena struggle to prove ROI. Please discuss the role data plays in your day-to-day activity. Nyman (PMK-BNC): There is still much emphasis placed on advertising because that industry was able to come up with a standardized methodology for broadcasting out. You had this approved, agreed-upon, standardized methodology and then everyone rallied around who was going to measure. In the case of, say, television, everyone agreed upon Nielsen. So much marketing innovation is coming from the space that everyone around this table works in. What holds us back is this universal acceptance and agreement upon methodologies and how we analyze cost, which is the Holy Grail. We need to work with our clients on better understanding how to define success and what those deliverables will be. We also need to work with each other and say, “We think YouTube will be the go-to platform for digital or video content.” We must then work with YouTube and the various industries and figure out what standardized methodologies will be of the most value. When we get there, it just becomes easier for us all. Fidelzeid (PRWeek): Going back to advertising, it's fairly easy to see if an ad was effective or not. You could get sales figures based on people reacting to the advertising. Nyman (PMK-BNC): I disagree. Emphasizing sales figures suggests that advertising is the only methodology. When you do an ad, you're looking for three things – awareness, shaping an image or idea, and a call to action. Back in the day when media was cheap, you could use advertising as your primary marketing methodology to get the word out and nail those three things. It's too expensive to do all that now. Every communicator is focused on shaping messages through various methodologies, ideas, engagements, or interactions. So when an ad comes out, we can agree on how many people saw it, but that's probably the only thing we can agree on unless there are no other forms of marketing happening and that's the only mechanism for a consumer to absorb a message and then walk into a store. However, so much happens now before, during, after, and even while someone is in the store – be it physical or virtual – purchasing a product or service. Koch (Eileen Koch): There's no guarantee, either, with an ad. You can buy the ad and it might be great and creative, but you can't guarantee a purchase based on someone looking at that ad. Apostolou (Starz): PR used to be shoehorned into trying to come up with advertising equivalency of press hits and the like. Other disciplines couldn't grasp what we were doing unless we were talking about advertising equivalency. That's been blown up. Today, you can get a story, but you better read the comments that are posted after that story to understand its real effect, whether it was liked or it was shared. It's still an intangible we haven't figured out quite yet. Day (UTA): Listen to Netflix's chief content officer Ted Sarandos talk about big data. He doesn't talk about the ratings for House of Cards. He wants to discuss engagement and what people are saying. UTA's research department has become one of our most critical service offerings for clients. We have numerous data streams we analyze and harness. One of the most important ones, and certainly the most exciting, is social listening because that gives us unbelievable insight into how our clients' work is arriving at the marketplace. Right now, everyone is trying to crack the code on film tracking, social tracking of movies, because traditional tracking is a three- to five-week animal. Everyone's trying to figure out how to harness the conversation to determine where a film will end up in the marketplace. Petrikin (20th Century Fox): The challenge with the movie business is you have this really expensive proposition – the film – but you have to make it that first weekend. You have to think about the box office, which is another form of data. The tracking has become both relied upon, but also very flawed. By the time you're viewing it, you're already on that train and you're just hoping the data matches up to what your optimism and your materials have garnered. It's such an imprecise science. You could have a director who is an auteur who is dealing with his vision and doesn't want you to test his movie or doesn't want to turn it in until it's finished. And we were talking about collaboration earlier. That's the biggest change on the studio side. In order to get data, use it effectively, and have everyone benefit from it, you need to be collaborative. As such, everyone has to be open in their process a lot earlier on than they ever have been. Apostolou (Starz): In entertainment you're dealing with art. In other industries you can do publicity and then see what that generates at the cash register. And yes we have box office and ad figures to look at, but art is art. You're asking to put a value on it, to try and measure it, and then we're being forced into this limited timeframe to measure it, whereas this is something that lives on. Radden (Red Bull): Measuring traditional media is still really important for us. However, if a national magazine or newspaper were to say, “Your story was going to be in print, but now it's just going to be online,” we're almost happier because we have video or photo-album content that we can provide that would never make it into the print version. Year-on-year comparisons are also a challenge because a lot of variables change, especially with us when it comes to events. You could hold one event in San Diego one year, which we did, and then move that event to New York the next. Comparing those two is not really apples to apples. We must be aligned with our marketing partners to establish what our goals are, the kinds of content we're going to create, and what success looks like from an earned, shared, and owned media perspective. Petrikin (20th Century Fox): This lack of concise data is what makes our jobs fun. If you just have these dashboards where you check off boxes, our jobs become purely marketing. Those of us in the movie business, TV business, whatever, still shape the perception of the products, the content, whatever it is, through earned media, through relationships with reporters, through all these ways that are still relevant and not outdated and outmoded. I don't know if there will ever be a magic bullet for film. You have the data of sales, but I don't know if we'll ever have the data of desire, expectation, those kinds of things. Fidelzeid (PRWeek): Variety, The Hollywood Reporter, and other such legacy titles remain relevant, while entertainment bloggers have established prominence, as well. In light of this, how has your media strategy evolved? Apostolou (Starz): The trades are still important because you're trying to reach the industry, but we must start looking at who has the bigger voice and to whom they're actually speaking. Even traditional media is being affected that way. Slavich (YouTube): There was a time no one would entertain putting an online journalist up for a junket. Today, people are beginning to understand the influence of sites such as Collider, CraveOnline, and ITN. Those are the people buying movie tickets. They are equally important to have in a junket setting. At YouTube, the trades and business press remain very important because we must shape what we're doing in the Hollywood community. We have to let people know how we're evolving and why they need to pay attention. Davi (BMI): You're seeing a lot of the traditional entertainment trades questioning their frequency. Billboard just did a relaunch. These very influential blogs, not to mention things such as Twangouts, which are big in the music industry, have compelled the traditional trades to be much more proactive in defining themselves in a new way. The trades remain important from a b-to-b perspective, but it's a lot more integrated now. Everyone is looking for new ways to define that model, whether it's doing webcasts, more video, more partnerships and conferences. However, for traditional publications, it is a time for reinvention. Nyman (PMK-BNC): In this era of paid, earned, and owned, we're still trying to create a cadence, a rhythm, to how, when, and in what manner we push these messages out. However, everything is blended and blurred. Back in the day we'd say the trades are the trades and the consumer is the consumer. Now, we'd argue it's all the same. A greater percentage of entertainment industry people are still looking at Variety or Deadline, but they wouldn't necessarily be exclusive to that audience. There's no gate, unless it's a paid gate. That information is free flowing and democratized. Azarloza (Axis): There's a real convergence between media and content. And in my world, there's another piece to it – the language element. We often need to identify whether we're speaking to an English-language Hispanic or a Spanish-language Hispanic. That content has to be different, as does the distribution channel and the way in which you present the content. The media world is recognizing that today. ABC and Univision are teaming up to launch a 24-hour channel. You see NBC and Telemundo sharing resources across stations so they can have a better grasp of that new mainstream market. Then you have these startups and rebranded platforms such as nuvoTV, which is English-language Spanish-themed or Hispanic-themed entertainment. Some recent campaigns we did for Nintendo truly highlighted the language element of this conversation. With some video games, we pushed them in English because the kids playing them are largely English-language Hispanics. However, we also talked to the parents, who actually pay for the games. That had to be done in Spanish. This convergence and the fact this market is segmented so much have completely reshaped our media strategy. Day (UTA): You also must address how consumption habits have changed because of bloggers versus news outlets. At what point does a blogger become a news outlet? Society has been conditioned to accept that it's OK for a blogger opinion to be part of the news. There used to be a very clear separation between the two. Deadline illustrates this. Everyone would agree that Deadline is a news outlet, but it also adds a perspective. That is a major shift in the way people think and consume news. Every communicator who works with a trade thinks about how new tools can be used to maximize a story. From my perspective, a conversation about a story with an editor always involves whether or not it will be blasted out. Everyone in this business checks their iPhone to consume news. They also think about how else that story will travel and how else it can be aggregated among a bunch of other sites to find the biggest audience. Trades remain relevant if you know how to best work with them. Davi (BMI): Every trade outlet now has a very targeted e-mail distribution that's being considered in all types of strategies. I certainly consider it for an exclusive strategy because at midnight the day of your launch or big event, there's an e-mail everyone checks. The first thing everybody does in the morning is look at the headlines on their social media sites or e-mail. This has become a very important part of trade publications' evolution. Petrikin (20th Century Fox): Several years ago, there was one time a year where “blogger-types” would be of great import – during Comic-Con, where their opinion could make or break your movie. Today, it's pretty much the same guys, but now they're the acceptable media. Also interesting is the reverse migration of traditional news reporters to blogging. Sometimes that's tougher to get your head around because you don't know if you're talking to a guy about hard news or if he's writing a blog that's purely opinion or spiced with opinion. The other thing that has been shot to hell is this idea of exclusives and embargoes. We had executives say, “OK, get it to Variety today and then tomorrow it will go wide.” Today, there's only wide. Apostolou (Starz): This town's traditional media is actually doing a very good job of innovating itself. Deadline blew things wide open when it first came onto the scene because it was instant. The way in which The Hollywood Reporter has changed its format is really compelling. And all the events Variety presents are a really interesting way to engage with this town. I'm also fascinated by how “awards campaigning” has changed. It's really spilling over into how it affects consumers. You now see creators actually discuss their inspiration or how they made the movie. These affect consumers in a really different way. Koch (Eileen Koch): It gets right to the soul of the movie, which is compelling. Petrikin (20th Century Fox): These are aimed at awards voters, but there is spillover because most of these movies are still in wide release or at least some kind of release. Ben Affleck, for instance, is a recognizable movie star and here he's talking about his motives for making a movie and all the research he did. That's really compelling. Nyman (PMK-BNC): I remember when it was only the trades that talked about box office, the receipts over the weekend. Now on Friday, or even before Friday, we already know how a movie is going to do. You can pick up a paper in Des Moines on Saturday, Sunday or, worst case, Monday and know what happened at the box office. The value in that is if you're the consumer and it's reported, you might say, “Honey, let's go see this movie on Friday.” You look at the top three and you might be more compelled. It's the same thing with the awards campaigns. The public sees a movie was multi-nominated or won “best this” or “best that.” It becomes a mechanism, another way to market, and there's a value. Petrikin (20th Century Fox): The whole box-office reporting process started as a marketing tool, but it's now turned around to bite us a little because it has made it all about that first weekend. It really hurts those little movies that could be gems, but don't have a big studio's marketing budget. We have a specialized division called Fox Searchlight. Ironically, it has two to three times the publicity staff of a big studio because almost all of their work is through word of mouth, getting people to write about their movies. They start screening them much earlier. Rarely, though, will you ever see one of their movies be number one. That's not necessarily their goal. They do limited releases and slower rollouts. But it's challenging for them if the box office becomes that one thing. Fidelzeid (PRWeek): Where do you see the biggest opportunity in the next six months to a year? Slavich (YouTube): Seeing more creative minds coming to YouTube. On the audience side, it's about driving watch times and seeing how mobile is really changing how people view content. The live event we had on YouTube of the Red Bull Stratos jump [when Felix Baumgartner broke the world skydiving record] just shows that live events can really live in a universe of TV, YouTube, plus all these other different distribution platforms. People are now coming to us a lot for live events. Day (UTA): The proliferation of technology in the communications industry will continue to play a huge role in how content is taken in. It's exciting for our artists who we rely on to create great content. We're on an accelerated pace to see new outlets and avenues emerge. Davi (BMI): BMI plays a unique role given that we're almost like a musical exchange. Part of what we do is represent the rights of all creators, so during this evolutionary period, we must continue advocating for those rights. It's important that our songwriters and composers get recognized and paid for their creations. Our advocacy role must also continue to evolve. During this time of content, we have an ability to really hone in on that and help position them. Azarloza (Axis): Marketers' biggest opportunity is finding success in media ownership. You'll increasingly see brands take on that traditional media role, create their own channels and content. Major League Baseball has its own cable network. Hasbro has been involved in making movies. NuvoTV is going to be redone with Jennifer Lopez's kind of glamour and touch of class. There's an element of media ownership that is changing the market today. It will provide more culturally relevant material to that specific segmentation of the market. I see great success there because they have a built-in market share of viewers that will be so thirsty for content that speaks directly to them. Radden (Red Bull): Our audience is key. We will continue to expand and engage that audience across multiple platforms in an authentic way through earned, shared, and our own media channels. Koch (Eileen Koch): My big focus will be client education on the latest technologies and getting them to understand the values. Some of my clients still focus on who sells in the magazines. It's exciting because it will help me expand my offerings. Also, I will really focus on data. It's still hard to show clients the value of what we do, but if we can get there, it takes us up another level. Petrikin (20th Century Fox): The movie business has turned a corner to where we now embrace the Googles and YouTubes, but we need to hone that direct voice to ticket buyers. In addition, we need to work more on creating or advocating for a better partnership model between the actors, the writers, the directors, every aspect of the process of making a movie or a TV show. You're increasingly getting the feeling that every major motion picture is more of a true partnership of all the individuals involved. Apostolou (Starz): A key focus will be launching my network's shows globally simultaneously. The US market is so segmented. There are so many different competing entertainment options. There is something to launching a show globally and having that momentum from overseas impact the viewership here. Our communications must be more global, too. Starz isn't necessarily becoming global, but our shows can travel overseas. We often partner with other networks overseas. It's breaking out of that mold that you're a premium network, you're tiered, you're only on this platform. Your show markets you. It's not necessarily the brand. It's the show. Nyman (PMK-BNC): If you look at all the tools at our disposal, the notion of mass media or mass targeting or marketing will have new meaning going forward. Everyone will need a good strategy and understanding on how to market with a hyper-segmentation approach. Look at the population. Look at who inhabits the country, the languages they speak, the content they absorb and how. We're moving into a stage of mass segmentation. As marketers, that's a great opportunity because we'll really be needed.